2. Foam Performance：Foam density is 35g／L, Foam is close, small and stability. 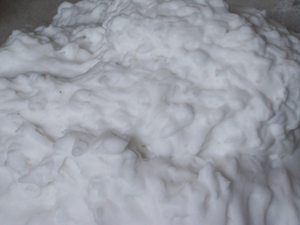 This foaming agent is viscous, so it will dilute as 30 times before useing, then make foam by foam generator, normal use is 0.4-0.7 kg per cubic meter foamed concrete, larger density, less use.